Recently, while coming from Bangalore, Arvind Bose brought some costly pencils and gave them to Bhagavan. After answering the usual enquiries about his welfare he went away to his compound, named “Mahasthan”. After he left, Bhagavan examined the pencils closely, wrote with them, appreciated their good quality, and handed them to Krishnaswami, saying, “Please keep these carefully. Our own pencil must be somewhere. 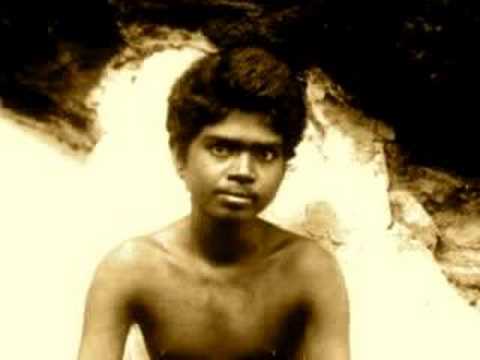 Please see where it is and let me have it.” Krishnaswami carefully put away those pencils, opened a wooden box which was on the table nearby, and, after searching for a while, found a pencil and gave it to Bhagavan. Turning it this way and that, and examining it, Bhagavan said, “Why this one? This is from Devaraja Mudaliar. Our own pencil must be there. Give it to me and keep this one also safely somewhere.” Krishnaswamy searched everywhere but could not find it. “See if it is in the hall,” said Bhagavan. Someone went there and came back saying it was not there. “Oh! What a great pity! That is our own pencil, you see. Search properly and find it,” said Bhagavan. Devaraja Mudaliar, who was there, said, “Why worry, Bhagavan? Are not all these pencils your own?” Bhagavan said with a smile, “That is not it. You gave this one; Bose brought the other ones. If we are not sufficiently careful, somebody may take them away. You know, Swami is the common property of all people. If your pencil was lost you might feel aggrieved, for you bought it, spending a good amount of money, and gave it to me. If it is our own pencil it does not matter where it is kept. It costs half-an-anna and even that was not purchased. Some one brought it and gave it, saying it had been found somewhere. So, it is our own. As regards the others, we are answerable to the donors. No one will question us about this one and that is why I am asking for it. The others are for the use of important people. Why do we want such pencils? Have we to pass any examination or have we to work in an office? For our writing work, that pencil is enough.” So saying, he had a search made for it and ultimately got it. Sometime back, a similar incident happened. Some rich people brought a silver cup, saucer and spoon and placing them reverentially before him, said, “Bhagavan, please use these when you take any liquid food.” Bhagavan examined the things and passed them on to his attendants. As the attendants were placing them in the bureau in the hall, he objected and said, “Why there? Let them be kept in the office itself.” “They were given for Bhagavan’s use, were they not?” said a devotee. “Yes,” replied Bhagavan, “but those are things used by rich people. What use can they be to us? If required, we have our own cups and spoons. We can use them — why these?” So saying, Bhagavan told his attendant, “Look, from tomorrow we will use our own cups. Take them out.” A devotee asked, “What are those cups, Bhagavan?” “Oh! Those cups are made of coconut shells, smoothed and preserved. They are our cups and spoons. They are our own. If we use them the purpose is served. Please keep the silver articles carefully elsewhere,” said Bhagavan. “Are not those silver articles Bhagavan’s own?” asked the devotee. Bhagavan said with a laugh, “Yes, they are. But tell me, why all this ostentation for us? They are costly. Should we be careless, some one might steal them. So they must be guarded. Is that the job for Swami? Not only that. Somebody might think, ‘after all, he is a sannyasi and so will he not give them away if asked?’ and then ask for them. It is not possible to say ‘No’. Yet, if they are given away, those who presented them might resent it, as they gave the articles for Swami’s use only. Why all that trouble? If we use our own cups it does not matter how we use them or what we do with them.” So saying, he sent away the silver articles, had his own cups taken out and shown to all present. About the same time, a devotee brought a nice walking stick with a silver handle, and presented it to Bhagavan. Turning it this side and that, and examining it, Bhagavan remarked to the devotee, “Good. It is very nice. Please use it carefully.” “But it is not for my use,” he said. “I have brought it thinking that Bhagavan would use it.” “What an idea!” exclaimed Bhagavan. “A nice walking stick with a silver handle should be used only by officials like you. Why for me? Look, I have my own walking stick. That is enough,” concluded Bhagavan. “When that one is worn out, you could use this one, couldn’t you?” asked another devotee. “Why these costly things for me? If a bit of wood were chiselled, a walking stick could be made out of it in an instant. While I was on the hill, I used to chisel a lot of wood into walking sticks, smooth them and preserve them. Not even a paisa was spent on that account. Several people took away those walking sticks. They were our own. Why all this ostentation for us? Those cheap walking sticks will do for us.” So saying, Bhagavan gave the stick back to the devotee. As a rule, Bhagavan does not use costly things. He likes things which do not cost even a paisa.